P. T. Thomas Kerala member of parliament(MP) Kerala profile and biography is given here. P.T. Thomas is a veteran Political Activist, a Social Worker and a Trade Unionist from the state of Kerala. He is currently the Member of Parliament, representing the Idukki Lokh Sabha Constituency. He was also chosen as the Member of Kerala Legislative Assembly on two occasions. Since he is close to people, he had a good following in his constituency. P.T. Thomas is a seasoned and astute Politician from the central Kerala. He is currently a Member of Lokh Sabha, representing the Idukki district of the central Kerala. He is also an active member of Indian National Congress (INC), the grand old party of India. He has a long and illustrious career in Kerala political landscape. He jumped into the political agitation as a student when the Idukki district was being constituted by the government. He is also an established advocate in the High Court of Kerala. As a social worker, he has brought some social change in his home district Idukki. P. T. Thomas was born in the year 1950. His parents were Thomas Puthiyaparambil and Annamma Thomas. His parents put him in a local school to initiate him to the world of letters and knowledge. At this Saraswathi Temple, he had his formal education, learning basic lessons about languages, mathematics and moral sciences. He did reasonably well in that school and secured good grades and marks. Later, he was enrolled in a government high school near his place of birth. During his early school days in this school, he was more concentrated on his studies. However, whenever there is some political gathering occurs near his house or on the school premises, he used to hear the topics discussed in the meeting with apt attention. Later in his higher secondary school days, he started to ideologically sail more with Indian National Congress when there was a huge tension in connection with the carving out of Idukki district in the 1960s. During this agitation, he participated in the mass agitation in an individual capacity, daring his father's Diktat of warning against participation, as he was more convinced than anybody else in his family about the problems faced by the people. Despite his extensive participation in large-scale peoples' movements, he found enough time to do his studies well. For this, he sought the help of his classmates who were sympathetic towards him. Hence, he could do well in the SSLC examination and secured good marks and grades. When P.T. Thomas moved to the pre-degree level, the political climate in the state, especially in his home district, had become hotter with more agitations happening, pressing the government for the carving of the Idukki state for its overall development. He joined the Mar Ivanios College in Thiruvananthapuram for his pre-degree course. But he devoted his time judiciously between the political career he was trying to carve out for himself and the academics. However, he took special care not to bring his political activity within the college premises, though he chose to remain absent in the classes. He took a convenient specialty for his pre-degree course so that he could give minimum time for the academics, yet he could catch up the subject in time. This wise manipulation helped him to remain strongly straddled in both the areas of his activity. Because of this decision and planning, he caught up with his subjects in time to be ready for the examinations. As a result of this, he came out with flying colors when the results of the pre-degree examinations were published. Morally boosted young Thomas took up the degree course in a local degree college funded by the government of the state. Later, he passed the degree examination with decent marks, in spite of his participation in various events across the state as an active member of Kerala Students Union (KSU), the students' union wing of the Congress party. After the completing of the degree, he joined the post graduation course and completed it without any problem. This time also he secured good enough marks. Later in his academic years, he joined an LLB course to become a practicing Advocate. After some years, he got married to Uma Thomas. The couple was blessed with two sons in their marriage. P.T. Thomas came to the field of politics in the state through a number of struggles. He was very much part of the agitation very early in his life. In fact, he was attending higher secondary classes in a reputed school when he participated in a huge people movement. At that point in time, the people were organizing themselves in favor of the formation of the Idukki district. He was with the people on this matter. In connection with this agitation, he went along with others to picket the Village Office at Konnathady in the present day Idukki district of Kerala. He was picked up and arrested by the police along with others who had participated in the picketing. Later, he was released from the jail, but not before torturing in the jail. On another occasion, P.T. Thomas emerged as the front-runner or the organizer of an agitation to press for the construction of a tomb and monument for a tribal Patriarch Kolumban. In this occasion, he was with the people of the tribal region and organized mass meetings at various places to educate the public in general about the service rendered by this revered tribal Patriarch. The tribal Patriarch Kolumban was personally involved in guiding the geologists of the state government to explore different landscapes in the district in its later years. After a period of search, he helped the people concerned to find the exact location for the construction of the Idukki Arch Dam. The government of the day had to finally relent to consistent pressure from the people and agree to the proposal put forward by him. Due to his participation in various political movements, P.T. Thomas became one among the people in the region. He was able to build the rapport with them and count on them. This was how he laid down the groundwork for his career in politics after joining the Indian National Congress. Since his approach was cause-based, he could win friends across the parties in the state. Because of this, the senior leaders in the state unit of the Congress party to offer a place for him in its setup. As told previously, P.T. Thomas forayed into the political landscape of the state when he was a school-going student. During his school days, he started to ideologically like and follow the Indian National Congress. Moreover, he started getting helps and mentorships from the senior members of the students' wing of the Congress party. As the years progressed, he rose to the high-rungs of the students' wing. For instance, he became the Vice President of Kerala Students Union unit at Mar Ivanios College when he was doing his pre-degree course over there. Later, he became the General Secretary of the College Union as well. Climbing the hierarchical ladder in the students' wing of the party, he was later elected as the President of Idukki unit of Kerala Students Union. He still climbed the hierarchical ladder in the party and became the State General Secretary and the State President at different points in time. Finally, he rose to become the member of the State unit of the party. In the state unit of the party, P.T. Thomas showed his capability as a leader and gathered the people on various issues concerning the state. Hence, he was made the executive committee member of the Kerala Pradesh Congress Committee. This committee identified the causes and effects of various issues plaguing the state unit of the Congress party. His good work was recognized by the national leaders of the party and elevated him to the All India Congress Committee as its executive member at one point in time. Subsequently looking at the popularity in his place of activity, he was given a ticket to contest the state general elections, and on two occasions, he was successful in becoming the Member of Kerala Legislative Assembly. In the year 2009, he was elected to the 15th Lokh Sabha. He reached the parliament to represent the people of the Idukki Lokh Sabha Constituency. P.T. Thomas was elected to the Lokh Sabha in the year 2009. In that year, he defeated the nearest rival from the Communist Party of India (Marxist) by a huge margin of votes. As an elected Member of the Lokh Sabha, he participated in various discussions concerning the people. At an opportune time, he even raised the issues concerning the people from his constituency. Due to his active participation in the discussions, he was made the member of a parliamentary committee on Personnel, Law and Justice and Public Grievances. Since childhood, P.T. Thomas has been a profound reader of the books. Because of his association with the books, he assimilated a lot of knowledge. The young analytic mind in him started to piece together the information gathered by him. These pieces of information were collated into a number of books by him in his long-standing political career. When he was a student, he was the editor of a periodical published by Kerala Students Union. The name of the periodical was Kalasala. During this time, he also edited a cultural publication by the name Cheppu. He was also on the editorial board for the AICC publication Varnika. He has also written an analytical book on the issues related to the taking of ADB loan. This book is titled ADByum Prathyasasthra Shadyangalum. He is also a Publisher and a Chief Editor of a monthly magazine in Malayalam titled Manava Samskruthi. P. T. Thomas is a seasoned politician from the state of Kerala. 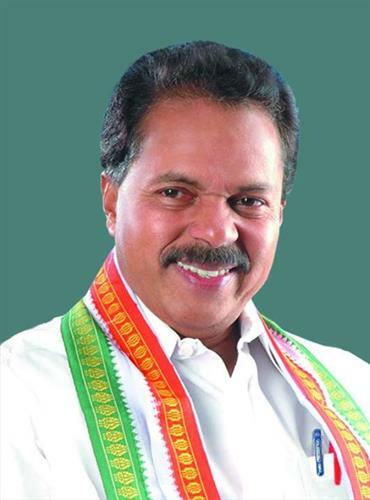 Currently, he is the Member of Parliament who represents the Idukki Lokh Sabha Constituency. He is also an active member of Indian National Congress. He has over 30 years of experience in politics. After having started his political life during his school days, he has seen many faces that have come and gone. He assimilated the practical wisdom from those interactions and served the people of his home district in earnest. He is also an accomplished Advocate in the High Court of Kerala. He occupied various party posts and showcased his ability as a leader. He was also a Member of Kerala Legislative Assembly twice.